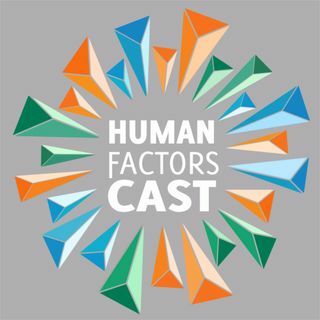 Today is March 18th, 2019 and it's an all new Human Factors Cast hosted by Nick Roome, Blake Arnsdorff and Elyse Hallett. Take a deeper look into the human element in our ever changing digital world. Human Factors Cast is a podcast that investigates the sciences of psychology, engineering, biomechanics, industrial design, physiology and anthropometry and how it affects our interaction with technology. As an online source for human factors, psychology, and design news, Human Factors Cast is your essential resource for new, exciting stories in the field.